With Chinese New Year (CNY) around the corner, brands in Malaysia are out in full force to associate their brand with the myriad of experience and emotions surrounding this seasons. From reunion dinners, to reminiscing about the olden but golden times, here is a quick round up of top brand campaigns, as compiled by YouTube Malaysia. Here are 10 ads that are doing paw-some on YouTube Malaysia. 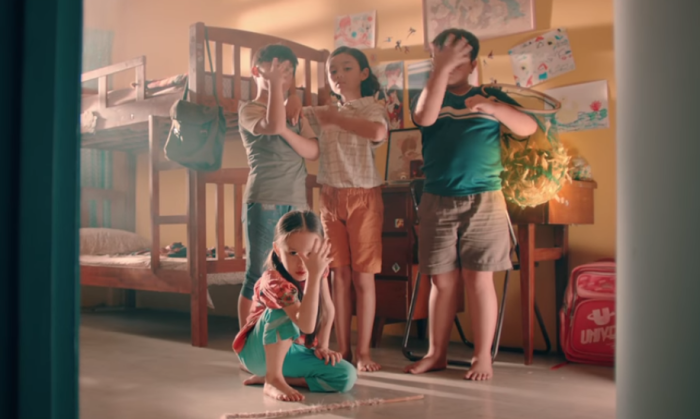 Celcom has brought back the famous five from its festive films in its latest spot “5 Sekawan Selamanya” for Chinese New Year (CNY). The spot looks to showcase the richness of Peranakan culture and along the way, and discover the true meaning behind a special custom that links back to the origin of the friendships with the girls. Afraid of getting heartburn from overeating? This ad by Gaviscon looks to allay your fears this CNY season, targeting the experience surrounding reunion dinners – especially overeating – by ingesting Gaviscon. The video garnered around 1,033,882 views at the time of writing. Tired of your nagging mother asking you to help with CNY spring cleaning? Lazada’s ad looks to showcase how a resourceful son used the power of online shopping to meet his mother’s demands. The spot garnered 550,259 views at the time of writing. Also revolving on the theme of reunion dinners, Lee Kum Kee took the time to showcase different types of reunion dinner experiences across different families, showcasing of Lee Kum Kee’s products in the process. The spot garnered 1,272,094 views at the time of writing. To reimagine the way consumers experience the lion dance, Maxis came up with the HuatAR Ang Pao. This is an ang pao (red packet) that helps bring ‘Ah Huat’, the lion, to life using augmented reality (AR). Beyond watching the lion dance, consumers can be part of it – through the Maxis HuatAR App. In a follow up to last year’s “Ho Ee Ki” campaign for Mudah.my carried on with the campaign theme of “Ho Ee Ki”, which is meant to encourage people to let go of the old, to usher in prosperity, this year’s ad focuses on lucky numbers with a twist. The spot garnered 5,461,257 views at the time of writing. This touching ad by Petronas showcases a car journey taken by a father and son to their family home for Chinese New Year. The pair eventually get into an argument, but reconcile along the way after reminiscing about their past shared experiences. The ad garnered 691,992 views at the time of writing. Also giving its take on the CNY spirit was this ad by Pizza Hut, which featured a young boy who is ready to help his neighbours and family matters. The spot showcases that everyone deserves a little happiness, garnering around 3,306,289 views at the time of writing. Starring a loving grandmother and her cheeky grandson, the video by S P Setia addresses the meaning behind chopsticks and how it relates to Chinese New Year. Encapsulating themes such as family and togetherness, the spot garnered 1,629,473 views at the time of writing. The spot opens with a CNY family gathering showcasing members all being on their phones. The spot then travels back in time when one of the female protagonists comes across an old photo from her childhood 25 years ago. This saw the protagonist and her siblings getting ready for the Chinese New Year, from cleaning the house to having their own lion dance. The spot garnered 2,383,405 views at the time of writing. This online film by U Mobile promotes the telco’s new P99 (pronounced P Kaww Kaww) Unlimited HERO Plan, and includes many other uses of the word ‘Kaww’ layered into the product messaging. It garnered 1,849,390 views at the time of writing. So what’s your favourite CNY ad? Have anymore you would like to share? Email us at viviennet@marketing-interactive.com. All JWT's Singapore CEO Frank Bauer wanted to do was to find new ways to sell chocolate bars. He tells Marketing more about his lo..
Evans will be responsible for leading and executing Alibaba Group’s international growth strategy to globalize the company and gro..